Kintamani Tour is popular Bali tour packages which duration 10 – 12 hours to visit places of interest in Ubud and Kintamani village which is both of this tourist object is popular destination in Bali island and must be visit while on vacation in Bali. Start at 8 a.m from hotel to visit Batubulan to see Barong dance and then visit Celuk village to see Bali gold and silver handy crafting for half hours. And then visit Tirta Empul temple well known as holy water tempel in Bali. Next trip we will visit Luwak coffee plantation to see and taste Bali coffee agricultural, and then continue to visit Kintamani to see beautiful view of Batur lake and mount Batur. After that having lunch at local restaurant pampered with Batur like and mount Batur view. And then visit Tegalalang rice terrace to see beautiful view of rice field at Ceking village. Our program has been designed with you in mind, however we are more than happy if you would like to change one of our tour itinerary with other tourist object based on your wish. Pick up at hotel at 08.00 a.m and then visit Batubulan village located in west of Gianyar regency and one of places of interest in Gianyar which is the identity and image as an art village. Batubulan village has been famous all over the world as create the spectacular Balinese dance performance that is Barong and Kris dance. 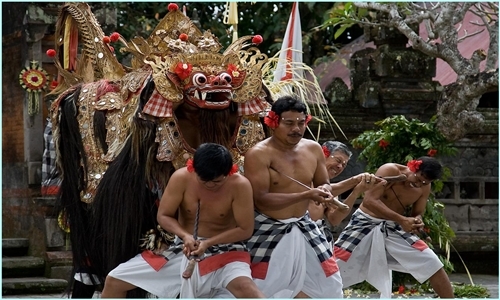 Barong and kris dance is Balinese traditional dance which is the story correlated with the struggle between the benevolence and bad spirit. This story taken from Mahabharata Epic, especially the period of Nakula and Sahadewa. The performance start at 09.30 am and finish at 10.30 am. Visit Celuk village to see incredible gold and silver handicraft, located in sub district of Sukawati, Gianyar regency. Right place to see Balinese professional, artistic and skillful of design development related to the Gold and silver crafting. The productions have penetrated to the local, nation and international market. Good for those of you would like to buy for present or for your own. The type of gold and silver craft has been produced in this countryside are covering various of rings, bangles, chokers, earrings, mothers of pearls, Tusuk konde, broach and others types. Tirta Empul temple is Hindus temple located in Manukaya village. 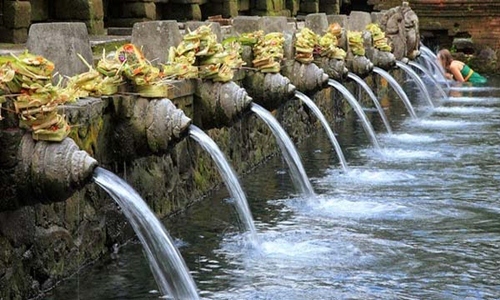 Tirta Empul well known with holy spring water which is believed to have magical powers. a popular place to visit in Bali island by both domestic and foreign tourist. After visit Tirta Empul Temple continue to visit Luwak Coffee plantation. 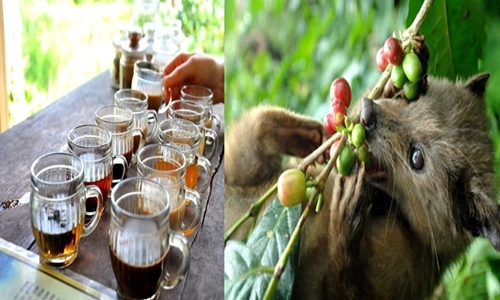 Here you can see and taste many kinds of coffee, and one of the coffee will be serve is Luwak coffee. Luwak coffee is seeds taken from civet droppings and then undergoes fermentation naturally then issued in the form of coffee beans and believed to have different flavors that have a higher quality than arabica coffee. Visit Kintamani village to see beautiful panorama of Batur Volcano and Batur lake from Penelokan countryside. 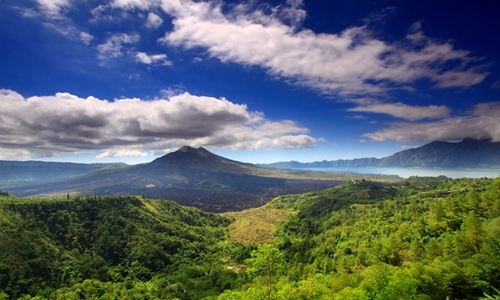 Batur volcano is the second highest volcano in Bali, it is about 1700 meters above sea level. After that we will drive you to local restaurant for having lunch and pampered by volcano and Batur lake view. Visit Tegalalang rice terrace is our last destination on this tour. This place located in Tegalalang countryside, north of Ubud. Only 20 minutes drive from Ubud Area. 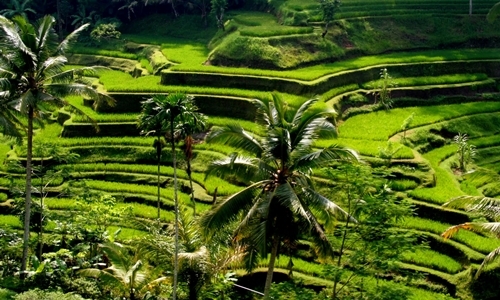 Tegalalang rice terrace is popular tourist attraction which offer beautiful scenery of terraced of rice fields.